The hours of the Monkey: 3pm – 5pm. 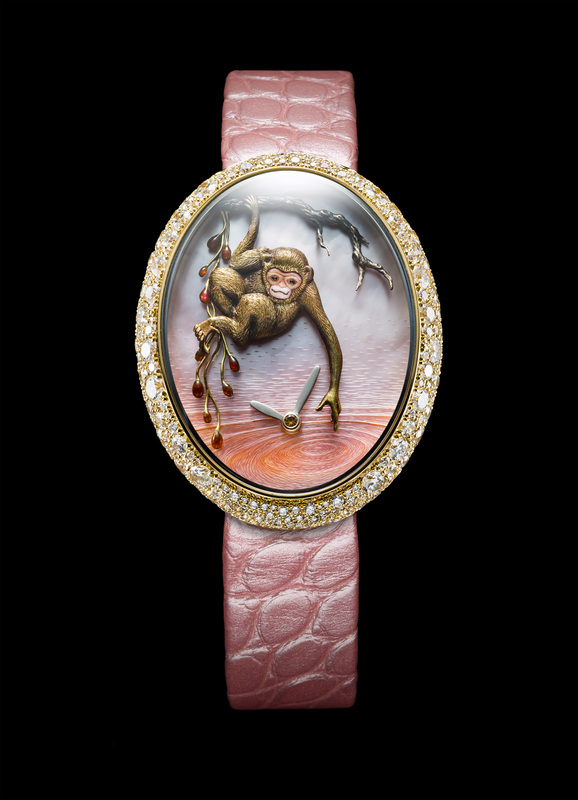 By mid-afternoon, it is time to get curious with VAN’T HOFF’s charming single edition ladies’ watch “Time of the Monkey”. Observe the monkey’s wisdom, as he always knows which branch is best to swing on! Watch out for some fun mischievousness from the entertaining and smart master of practical jokes. Do not be fooled by the little monkey’s poker face, he is watching you as he plays with water, he might splash you. 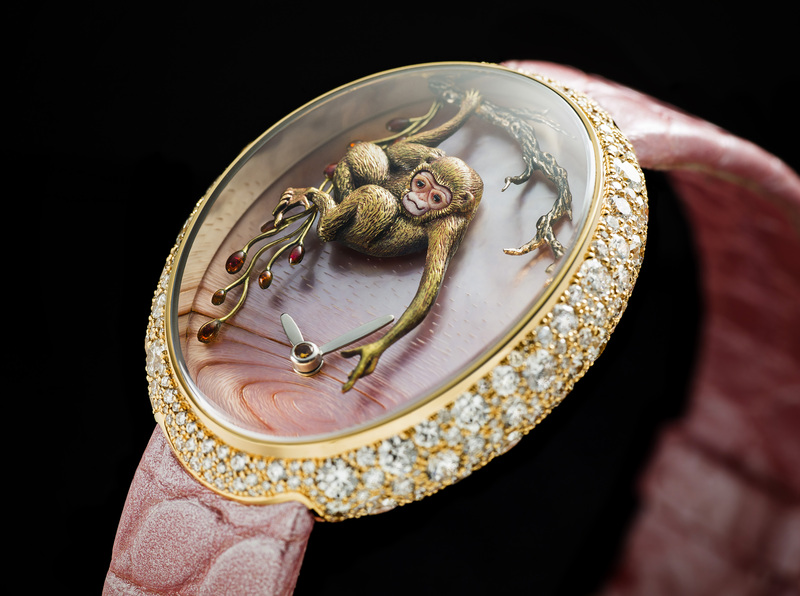 Here, as everywhere in the VAN’T HOFF collections, remarkable craftsmanship is present with a superbly sculpted yellow gold monkey, and a beautifully carved rose gold tree. The tree is adorned with exquisite buttons of red enamel, while the monkey’s expression is brought to life with adroit touches of paint. A delicately engraved and coloured mother-of-pearl water element complete this gorgeous timepiece. Are you playful enough to wear it? Share with us what is your zodiac animal! We have more miniature worlds waiting for your discovery. Make your appointment to view your animal or create your bespoke animal.